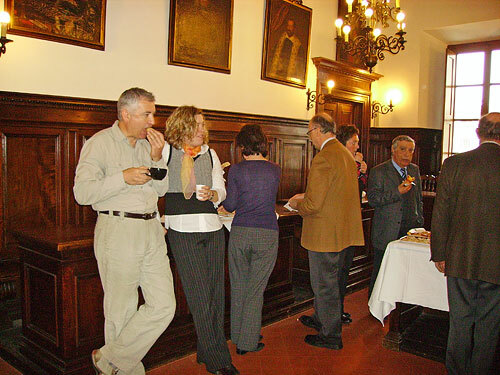 The kick-off meeting took place in Florence on the 31st of January and 1st of February, 2008. Elisabetta Delle Donne, the project's coordinator, presented the partners a detailed description of the project and the activities that will have to be carried out. The meeting was also an opportunity for the partners to get to know each other and to discuss all details related to the project's activities. At the end of the meeting all the partners had a clear view of the future project's implementation. The second partners meeting took place in Nottingham on the 9th and 10th June, 2008. The meeting had the objective to check the activities carried out in the first six months of the project, to present, share and assess the in progress results. The meeting also had the objective to make a detailed planning of the project future activities and to organize the project's work that will focus on the development of the training package. A specific session of the meeting was dedicated to the preparation of the Interim Report both from a content and financial point of view. The third partners meeting took place in Castlebar, in Ireland, on the 15th and 16th of January 2009. The meeting had the objective to check the activities carried out in the past months of the project, to present, share and assess the in progress results. The meeting also had the objective to make a detailed planning of the project future actions and, in particular, to organize the activities related to the test of the training package and of the project portal by the teachers in the European countries involved. 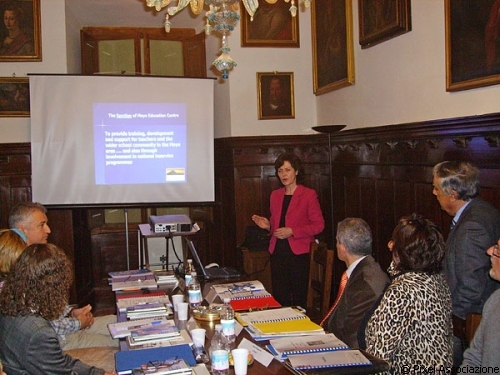 The Fourth partners meeting took place in Florence on October 9th, 2009. The objective of the last meeting was for the project partners to report on the activities carried out in their countries in the two years of the project. The School Inclusion portal was presented in all its features and the contained project outcomes. The project partners presented the project impact in their countries together with the results achieved and described eventual difficulties encountered in order to share them with the others.